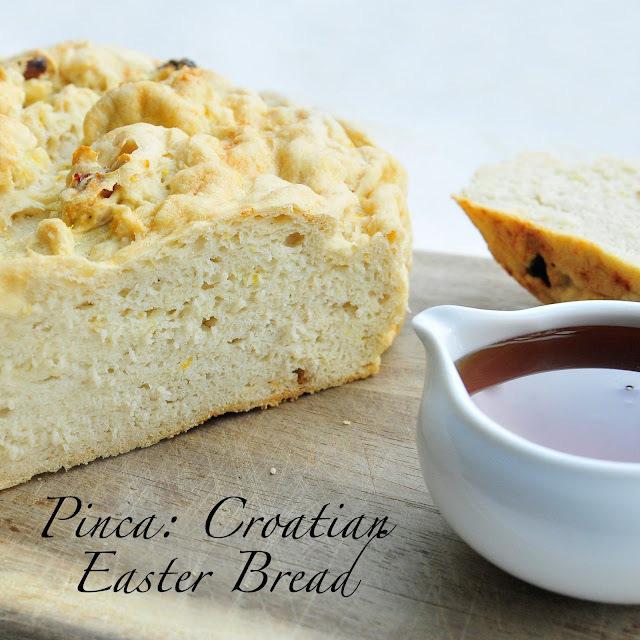 Pinca, Croatian Easter Bread, is given at the end of Lent as a symbol of good wishes to family and friends. Our theme this month for Twelve Loaves is Easter or St. Patrick's Day breads. We have compiled a wonderful list of breads that can be made in your own kitchens for these two special holidays. The list and links can be found at the end of this post. I first saw this bread a few years ago and immediately clipped and kept the recipe. I knew someday I would find the perfect gluten free bread dough that would work best for this bread recipe. The dough I have been working on is a great Easter dough because it has more than a normal amount of egg whites (not full eggs, but hey, this is gluten free baking so some rules will need to be changed). I love the combination of citrus, rum and golden raisins. Together they made the perfect roll and loaf that we served with warm butter and honey (at least this is how we ate our bread this past week). 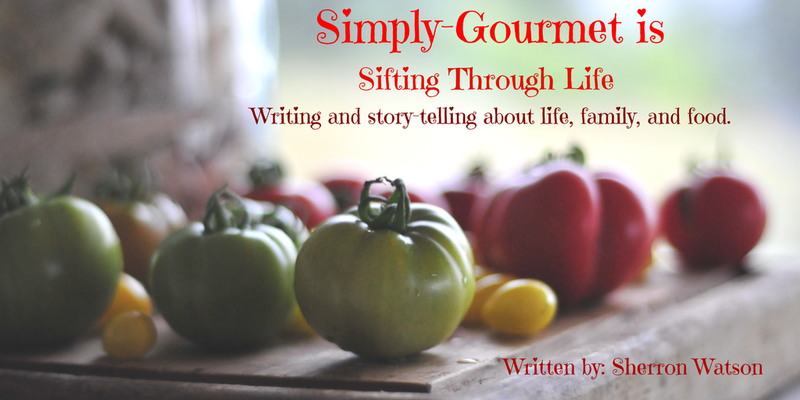 A few details had to be changed from the original recipe simply because I am dealing with gluten free flours and starches. The most noticeable will be the shape and the rise times. The traditional loaf is more round on top with a noticeable cross cut in the middle. I tried, but the dough is very wet, unlike the normal recipe. The second difference as I mentioned is the rise time for the dough. It does not require 3 different rises, so a single rise is perfect. In researching this bread I came across this article and wanted to share with you the list of Easter breads and where they are from. I found it fascinating how similar some of them were but with their own unique name and differences. 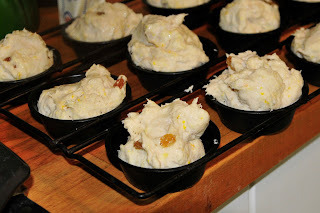 Dan Lepard wrote an article about Easter breads and listed a selection from various countries. His full article can be read over at the BBC Food Blog . Hot cross buns - the English tradition, though now popular all over Britain. Pinca bread can be described as such, "An Easter tradition in Croatia, pinca also known as sirnica is a sweet bread that is flavored with raisins, rum and citrus zest. It is commonly shaped into a round loaf that is marked with a cross to symbolize the Crucifixion of Christ. Another variation is to tuck hard-boiled colored Easter eggs into the bread’s folds." Monica Topolko, The Hungarian Girl has an excellent Pinca recipe that is not gluten free. NOTE: I strongly recommend that this recipe be made using a scale to weigh the flours and starches. The cups are only close recommendations. I make this dough all the time and the weights with the scale have never let me down. I always buy my fine flour blends at H Mart. This is a popular Asian chain grocery store. They are blended to a powder consistency and are not grainy when used in baked goods. The texture it produces will shock you. I have tried all of the carbonated waters and Seltzer works best. In a small bowl add raisins and rum (or flavoring). Let these soak until needed. In a large bowl on a scale, add and weigh the flours and tapioca starch. Add the salt. Whisk together until well combined. In a small bowl, add the warm water, sugar and yeast. Let proof for 5 minutes. In a medium bowl, add egg whites and seltzer. With a hand mixer, blend the two together. Notice all of the bubbles? This gives the bread air and helps it to rise. Combine the proofed yeast, egg/seltzer combination with the flours. Mix the dough for 4 minutes with an electric mixer. The dough will be thick. Add the raisins with rum, lemon zest and orange zest. Mix until well combined--about a minute. Grease your pans. I used a 12 cup cupcake pan and a 9 inch cake pan to make this batch. 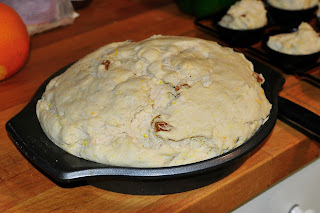 I wanted to see how the dough would perform as rolls and as a loaf. Both the roll and the loaf are excellent. The only thing to vary is the cook time. I have included two pictures so that you can see how full to make each pan. See below. I preheated my oven to its lowest heat setting and then turned it off. I added both of my pans and left the door open. Let dough rise for 2 hours. Remove pans from oven and preheat oven to 350 degrees. Return pans and bake cupcake pan for 25 minutes and cake pan for 40 minutes. The top of the loaf should start to brown. You are welcome to use an egg wash but I notice with the gluten free bread it doesn't produce the same results. Remove bread from the oven and pans. Let cool on rack. I stored the rolls and the loaf in large ziplock bags. To warm, we microwaved each roll for 20 seconds. I also used the bread as the base for a grilled ham and cheese open face sandwich <----that was GOOD! #TwelveLoaves March: Holiday Bread. Bake a bread, yeast or quick bread, loaf or individual. This #TwelveLoaves is all about the incredible holiday breads featured in March. 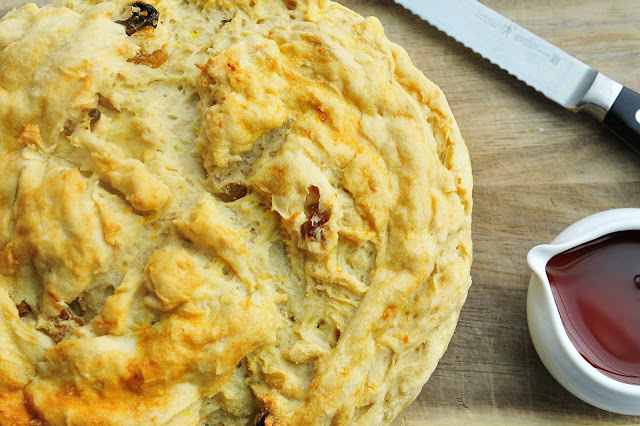 Do you have a favorite Easter or St. Patrickís Day Bread? We would love to see it. Letís get baking! Look at what our very talented #TwelveLoaves bakers have created this March! 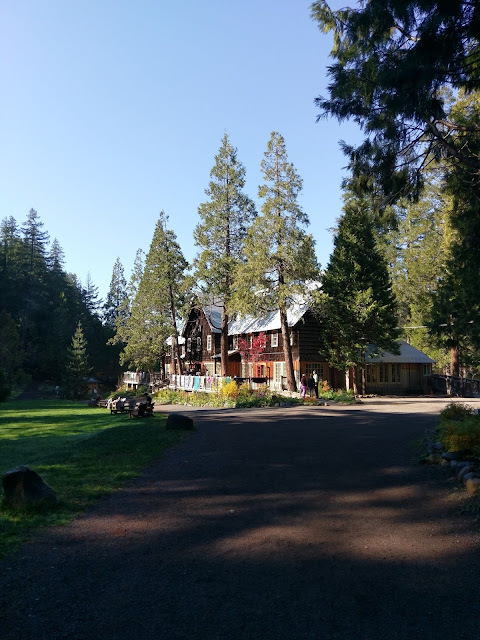 We would love to have you join our #TwelveLoaves group; itís easy! 3. Have your Twelve Loaves bread that you baked this March, 2013 posted on your blog by March 31, 2013. I´m amazed sometimes by how great gf breads look. The texture in that last pic is amazing! The flavorings are perfect together. Will be trying this one! Thank you Paula for your comment. I have to admit the texture is what I usually use to determine if I will make a recipe again or not. I can handle the loaves that have not risen a ton as long as the texture is bread like and not gummy. I imagine making gluten-free bread is a challenge. You have met the challenge and succeeded tremendously. What a lovely bread with the citrus and rum. I am so amazed that you made this bread gluten free!! I have Italian Easter Bread every year and this Croatian Easter Bread looks just as delicious!! Thank you! I have had Italian Easter Bread before and that is also delicious. I do miss on occasion those breads that I enjoyed in my youth..LOL Have a wonderful weekend! I always look forward to your GF bread, Sherron. This Pinca is a beauty. It's fun to see how similar all the Easter breads are from country to country. Now if I could do a sampling of each one...;) Thank you for being a part of #TwelveLoaves! Thank you Lora for your kind comments. I love being in the group and that I can share a small portion of what I know about gluten free bread baking with others. How intriguing! 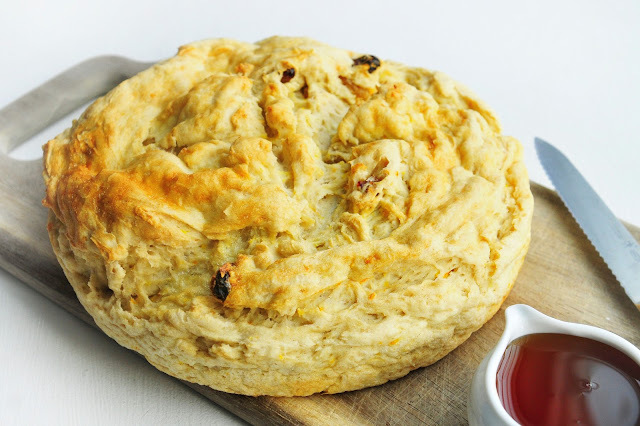 Have never heard of Pinca, and now I want to make it! Yours is beautiful. Thank you Dorothy. 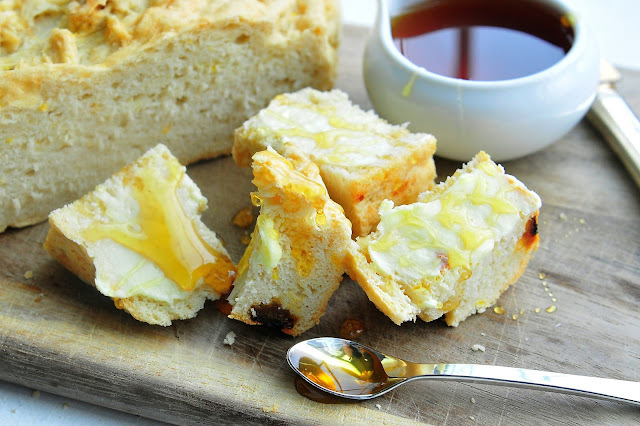 The golden raisins and citrus zest just give the bread that extra "sweet" touch. I made french toast with the loaf yesterday and that was stellar! Such a gorgeous loaf! And you'd never know it was GF...pure perfection! I love this bread! I am seriously falling in love with baking and bread. . and I think bread is so beautiful now. . I especially love homemade, baked bread because each one looks different. Love this one. Looks delicious!!! Thank you Alice. I love homemade bread too, especially with a large bowl of soup. Thank you for that lovely list of Easter breads! They sound so interesting. Your GF croatian bread looks delicious and the texture looks remarkable. I always wonder how GF bread compares to regular bread. Thank you Lyn. I have to admit some gf breads are great and some--not so much. I think this dough is the closest I have ever come to texture and flavor of a real loaf of homemade white bread. Have a good weekend! Wow, that an awesome looking bread, Sherron! Will share on my gfe page! I am always impressed by gluten free breads that look like their gluten-filled counterparts. I also am going to take your suggestion of finding ingredients at H mart. Friends here recently told me that I've been missing out on the shopping experience there and I must give it a go. Thank you Holly for your comment. We love H Mart! We are lucky to have a big one near by and find so many fun things to work with in the kitchen. Have a good weekend! Oh, I didn't know about Pinca. Despite I grew up in Friuli, I haven't try it. I adore ritual bread as your. Thanks to teach me something new about bread. I had no idea there were so many Easter breads out there. This one surely looks like one worth trying. I love the use of seltzer with the egg-whites to leaven and lighten. Which can be a challenge with GF baking. Great post! Your bread is gorgeous! I love the variety of holiday breads from around the world.